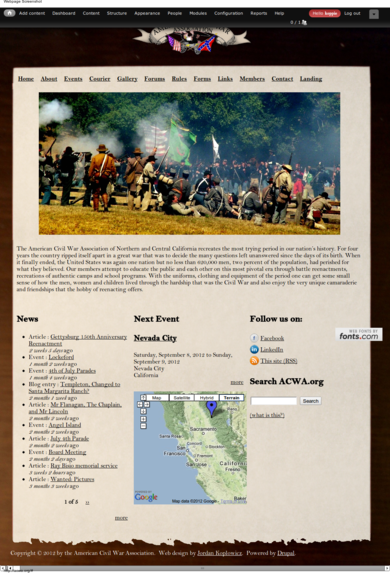 Built for the American Civil War Association, a 501(c)(3) non-profit. This site is hosted on a multi-site server including other non-profit sites. The site includes a custom built Drupal 7 theme with webfonts that are historically accurate to the period.